These harnesses are custom-tailored to be vehicle specific, plug and play kits with all the circuits and connectors necessary to completely and painlessly wire your vehicle. They are not, however, simply factory replacements. We understand that many of you want to add some creature comforts such as air conditioning, high amperage alternators or other accessories that were not available as a factory option in your vehicle, so our engineers have designed these elements into our Direct Fit harnesses. 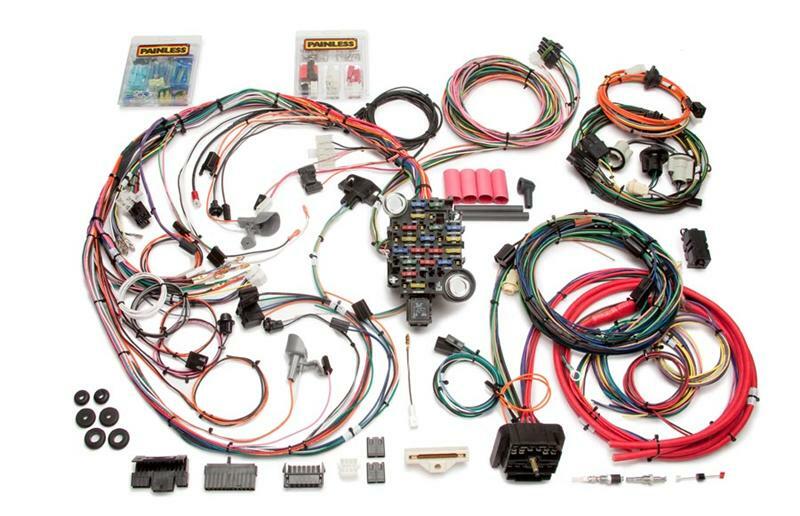 See the harness kit specific to your vehicle for complete information on our additional circuits we have provided.